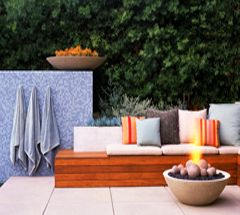 From lush textures to soft upholstery to outdoor fun and games (bocce court, anyone? ), outdoor entertaining spaces will be much more deliberate, dramatic and geared toward a life spent alfresco this season. Sounds good to us!